Hello, brides-to-be! There are a million reasons why you should be going to our July Wedding Show, but just in case you need some more convincing, we’ve got some of Northeast Ohio’s wedding experts opinions on why you should be there, too! We know that it can be a bit overwhelming when you walk into a convention center and see over 50 wedding vendors there. Where should you start? What questions should you ask? What trends should you look for? Luckily for you, we got some of the July Show vendors to give you their best advice and trends they see growing! The photos of your big day are priceless! You’ll peruse them with care in years to come, and share them with your children and grandchildren. Though you may be inclined to ask a friend or family member to snap a few shots or intend on putting an album together from all the Instagram uploads, we advise you to look into a professional. Not only do they have the best equipment, but they have years of experience knowing what poses are the most elegant and beautiful, where the light hits best to highlight specific features, and how to make your shots look natural and candid. Swordfish Media Productions recommends finding a photographer that resonates with you. “Get what you want. Look at the portfolio and see if they match your vision for your wedding. If they resonate with you, then it’ll probably work.” Your Wedding Day memories will stay with you forever, and the photos will capture those memories! Remember, “your wedding will be one of the most emotion-filled days of your life. When booking a vendor, be sure to find someone who not only understands this but shows a similar level of enthusiasm about your day.” It’s also important to have someone local, according to American Commodore Wedding. “Photographers are the one vendor who will spend the entire day with you, so you want it to be someone who you not only trust but like and feel comfortable with!” Love is All You Need Photography reminds brides. Never be afraid to ask questions when booking any vendor! Because this day is so special to you, it should be tailored to your wants and needs. “NEVER be afraid to ask questions and openly talk about your preferences and needs for your special day. We have shot over 200 weddings over the years, and no two weddings are ever the same for how they want their day covered or what they want for their ending results,” says B Frohman Imaging. What equipment will they be using? 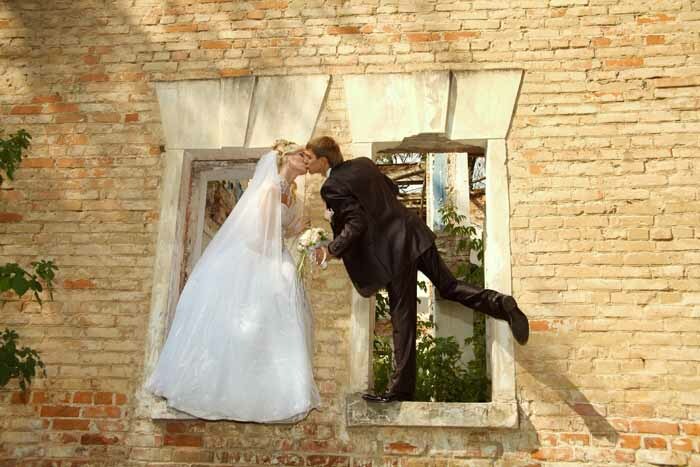 How will you access the photos after the wedding? How many shooters will there be on the day-of? From the details of the package to their personal life, no question is off limits. Getting to know your photographer is key in finding one who will match your style and enthusiasm on your wedding day. “Don’t be afraid to ask them if they are married, who provided a similar service for their wedding, and how the experience inspires the service their company provides,” advises JazzyMae Photography. Whatever you do, don’t just choose a photographer based on price! Get to know them, their style, and why they love what they do. Selfie Scene says, “You put a lot of effort, time, and money into making your day the best it can be – beautiful and seamless – and choosing something subpar negates all that. Look for something attractive, and that keeps up with technology!” Every photo booth company will advise you to always, always, always be sure to get two copies of the photos – one for the guests and one for your scrapbook. Not only do they offer brides and grooms a photo scrapbook of all the night’s pictures, but it can be a great favor for your guests! Whether they’re customizable or paired with frames as First Choice Photography offers, photo strips make great keepsakes! Just be sure that there is a second attendant if you decide to have a scrapbook. “I have met brides who have cried when telling me the story of them opening their ruined, beer-soaked scrapbook. The photo booth becomes a top-rated attraction during the reception- especially after dinner- and things can get very crowded and hectic. 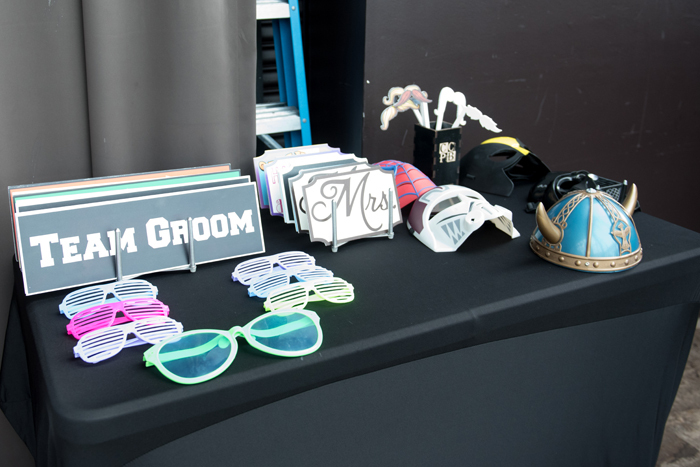 You want to make sure that there are two attendants at the wedding so that the memory scrapbook is protected from spilled drinks, water stains, and general damage that can occur when the scrap book is left at an unattended station,” advises inFocus Photobooths. All of our contributing experts will be present to give more advice and answer any of your questions at our July 8th Show! Be sure to stop by your favorite vendors’ booths to see what trends they can help you execute flawlessly!